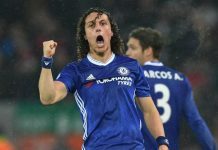 Chelsea face Middlesbrough for the first time in the league since 2009 this weekend, and have won the last six meetings against them without conceding a goal. The most recent of those match ups was in the FA cup fifth round at the Riverside stadium in 2013, with second half strikes from Ramires and Victor Moses putting us into the next round. The last Middlesbrough victory over us came ten years ago, near the start of the 06/07 season, with a 2-1 success. 2006 also saw them run out 3-0 victors in February, also at the Riverside. Those two matches however, are their only wins in the last nineteen meetings in all competitions. There have been some classic encounters between the sides over the years. Of course the most memorable from a Chelsea point of view being the FA Cup final victory in 1997 that ended our twenty-seven year wait for a trophy. Di Matteo netting after forty three seconds providing one of the most famous moments of cup final history. It was of course the quickest goal in an FA cup final until Louis Saha netted an even quicker opener against us in the 2009 showpiece. Eddie Newton netted the second to seal the first Chelsea FA cup win at Wembley. Ten months later we were back at Wembley, again facing the teessiders, this time in the league cup final. Di Matteo again netted, although much later this time, as the match headed into extra time. Frank Sinclair headed home the second after a break away, to ensure both finals finished with the same 2-0 score line. The next of the highest profile match ups between the sides was a two-legged affair, but this one would not go our way. In the 1987/88 season the football league had for the one and only time, a Bundesliga style promotion/relegation play off, as the top flight was to be reduced from twenty-one sides down to twenty for the following season. We finished in the unlucky position of 18th, fourth bottom, and even more frustratingly seven points clear of the bottom three, and on the same points as Charlton and West Ham above us. Five goals worse off than Charlton on goal difference, despite netting twelve more times than them, consigned us to the dreaded play-off. The first leg, at their old Ayresome park ground, saw us fall to a 2-0 defeat. Gordon Durie netted the winner in the return at Stamford Bridge, but we fell into the second division as a result of the 2-1 aggregate defeat. In terms of league fixtures, in recent times our 0-5 success in 2008 is the highlight, particularly as it included a trademark thunderbolt from range by colt hero Juliano Belletti. Another scintillating Chelsea display saw a 5-0 home win in February 96, best remembered for a Gavin Peacock hat trick. Another memorable moment came from a 1-0 win over them in the same year, with the scourge of Middlesbrough, Roberto Di Matteo netting yet again, although it was the celebration that is best remembered, as half the team lay on the turf with him, one arm aloft, to provide a classic photo that summed up that era. A Middlesbrough highlight would probably be their 7-2 home win in December 1978, one of many lows that season as we headed for relegation. So its fifth from bottom hosting second this weekend, and we travel to the north east with the second best defensive record in the league, having not conceded in five, and in excellent form. We can only hope this has not been tempered by the international break. 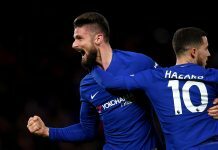 As previously, expect an unchanged side pending injuries as Conte appears to have found the players to suit this system at the moment, and all are worthy of their starting places. Their line up is also fairly stable at the moment; expect a 4-2-3-1 shape, with Negredo up top. Downing provides width on the left, and Traore on the right. George Friend is having a good season at left back, and has good attacking and defensive attributes. Pedro will have to be sure to track the overlapping runs as Moses is likely to have his hands full with Downing. Middlesbrough have shown themselves to be tough to break down, and the first goal could prove crucial. Previous articleWill we ever see Mikel in a Chelsea shirt again?